Spinning Silver Wedding Ring : LOVE2HAVE in the UK! 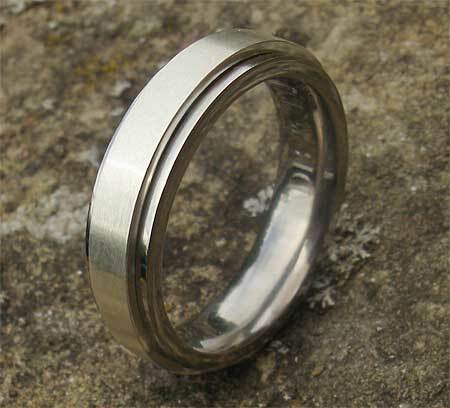 This wedding ring is a titanium and silver spinning ring. 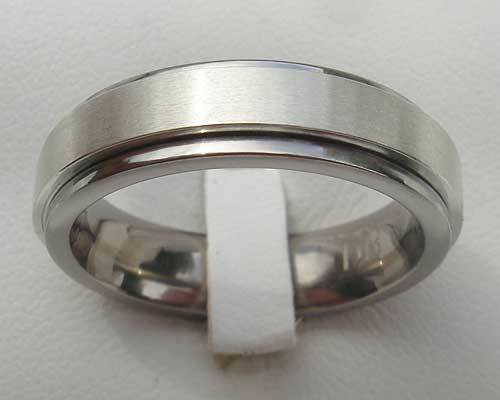 It consists of a titanium ring engineered with a rail that has an outer silver band joined onto but loose enough to spin. It has a flat profile, and the silver sits proud of the titanium. The width featured is 7mm, but other widths are available, so please do email us for further details. The finish is matt. Spinning rings make an unusual but stylish choice for wedding rings for both men and women. The ring is made here in the UK. Metal(s)/Material(s) Available: Titanium and sterling silver.